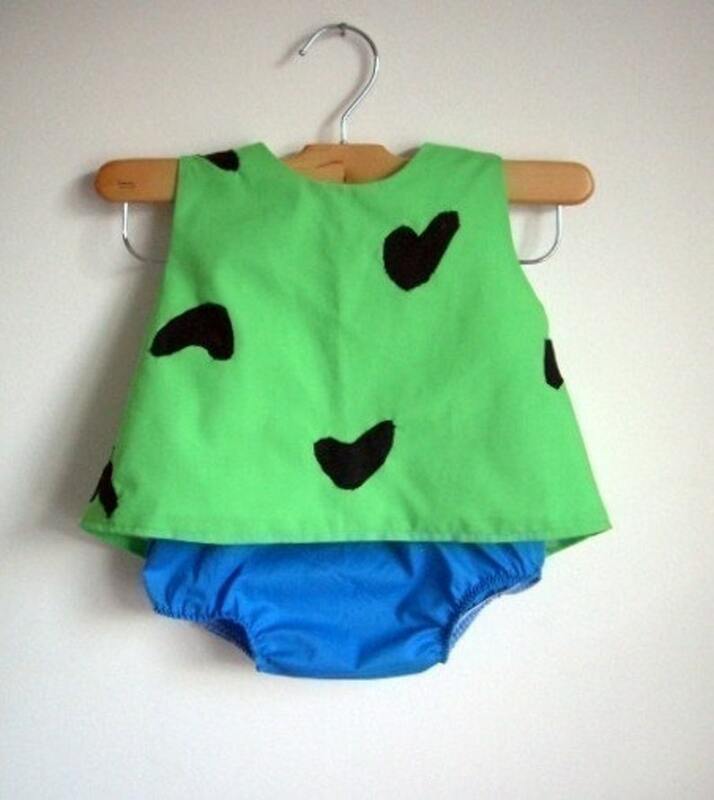 The darling green tunic with black accents individually attached by me is a bit shorter in the front like Pebbles and comes with little blue diaper covers. Pop a little bone in her hair and you've got your own little prehistoric babe. This is what my oldest niece will be wearing this Halloween. Please check the drop down menu for size availability at this time. Currently all sizes are made to order. Please allow 3 weeks before shipping for non-Halloween ordering. See above for Halloween shipping schedule.